© 2016 by The York Daily Record/Sunday News. Barbara Milligan sits for a portrait in her York home Friday, Jan. 8, 2016. Milligan had applied for a temporary protection from abuse (PFA) order against her husband, whom she said abused her, and was ultimately denied a full PFA because her husband failed to appear at court hearings. Milligan now lives in a different York home than the one she shared with her husband, and said she keeps the blinds closed and the doors locked and rarely leaves because she fears for her safety. © 2016 by The York Daily Record/Sunday News. 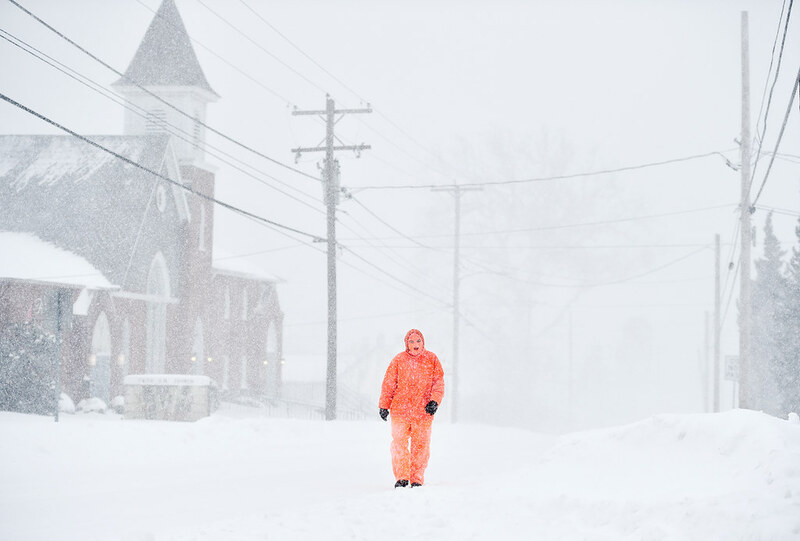 Bren Taylor, 14 of Hallam, walks on East Market Street to visit his grandmother, who also lives in Hallam, Saturday, Jan. 23, 2016. A snow storm affecting much of the East Coast is expected to bring up to 3 feet of snow to York County, Pa., through Saturday evening. © 2016 by The York Daily Record/Sunday News. 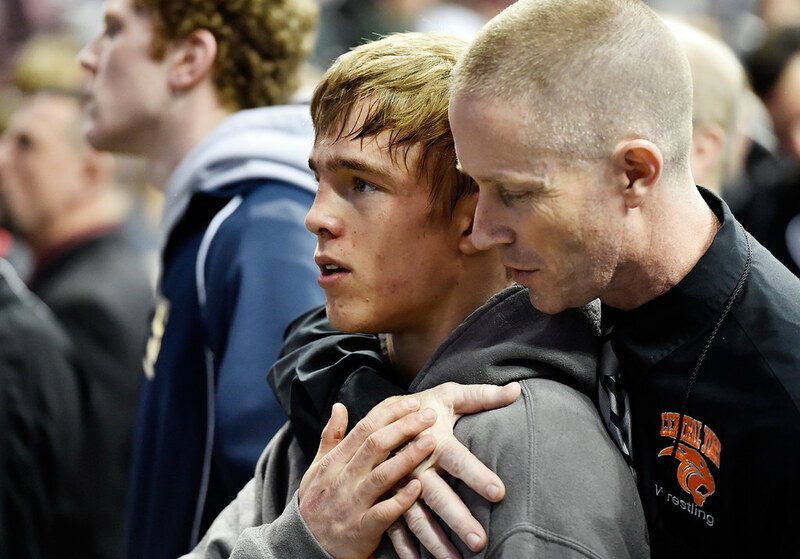 Central York’s Dylan Chatterton is embraced by his father and assistant coach, William Chatterton, before the 145-pound medal ceremony during the PIAA Class AAA wrestling finals Saturday, March 12, 2016, at the Giant Center in Hershey. © 2016 by The York Daily Record/Sunday News. Yolequi Tejada holds her son Yaniel Calderon, 3, as she and others pray with the Rev. Jonathan Sawicki before a Good Friday street procession held by the Immaculate Conception of the Blessed Virgin Mary Church Friday, March 25, 2016, in York. The street procession followed the first nine of the 14-step Stations of the Cross, from Jesus’s being condemned to death through his falling with the cross for the third time, with the remaining stations taking place inside the church. 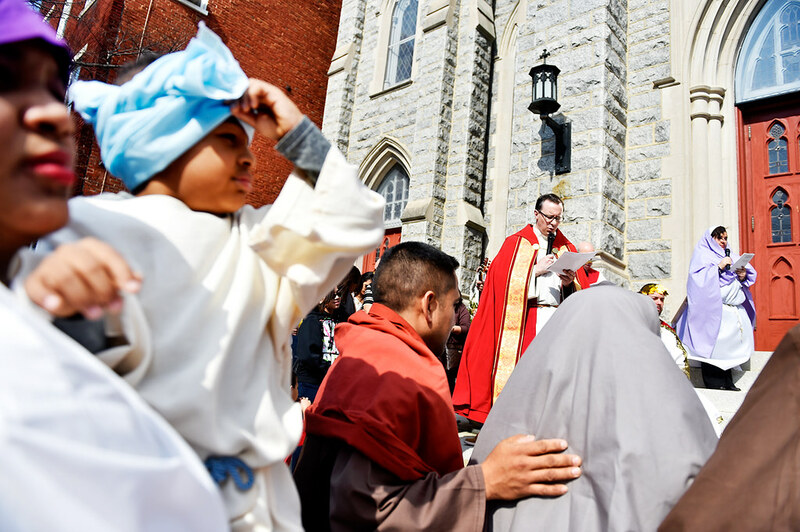 The procession was performed almost entirely in Spanish, and was followed by a Spanish-language Good Friday service. © 2016 by The York Daily Record/Sunday News. A York City police officer searches for shell casings at the scene of a shooting on the 100 block of Stevens Avenue in York Wednesday, March 30, 2016. One female victim, whose injuries were reportedly not life-threatening, was taken to York Hospital. © 2016 by The York Daily Record/Sunday News. York Suburban’s Ian Firestone, center, tips the ball during practice Thursday, April 7, 2016. 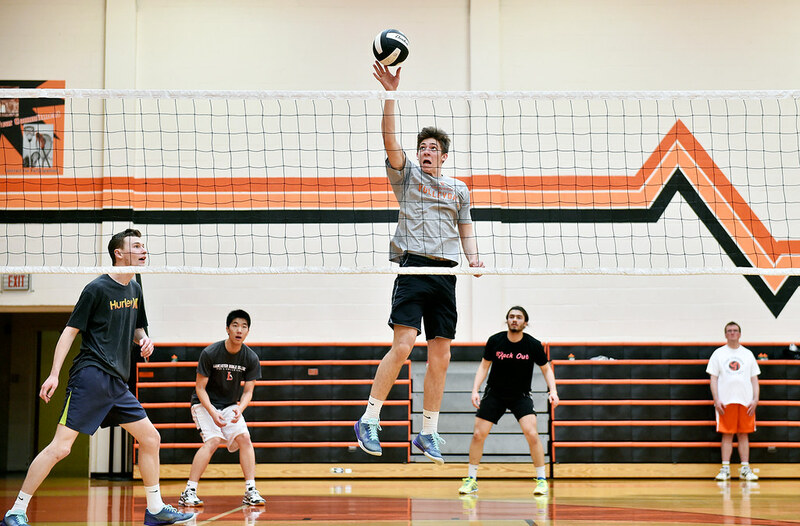 The York Suburban boys volleyball team is off to a 2-0 start in the season. © 2016 by The York Daily Record/Sunday News. 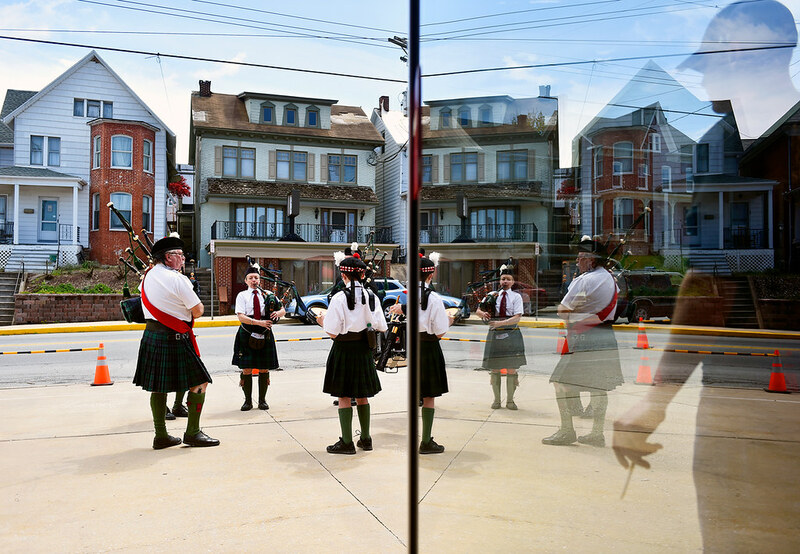 Members of Susquehanna Pipes and Drums perform outside Red Lion Fire Department’s social hall during York County’s third annual St. Baldrick’s Foundation shaving fundraiser Saturday, April 23, 2016. The event benefited pediatric cancer research, and featured two local boys who have undergone or are undergoing cancer treatments. Scot Becker, 15 of Jefferson, was diagnosed with medulla blastoma in July 2013 and has been in remission for two years, while Kai Sanborn of Springfield Township was diagnosed with leukemia in Sept. 2012 and will undergo treatment for another 1.5 years. © 2016 by The York Daily Record/Sunday News. 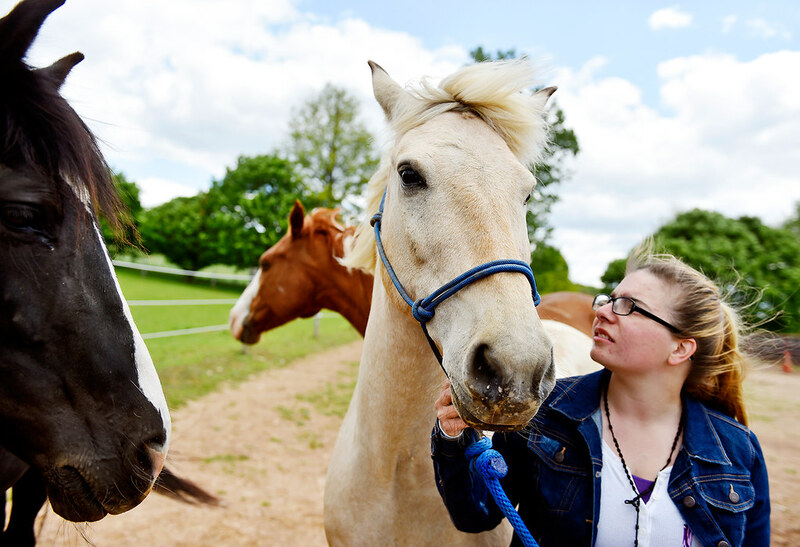 Kelley Haslam, 20, leads horses Cinder, Gypsy and Lightning back to pasture Sunday, May 15, 2015, in Windsor Township. Karen Greene keeps three therapy horses on the five-acre property she and her family have rented since Dec. 2014. After a neighbor complained, the township notified Greene of an ordinance that limits one animal per two acres of land if that animal weighs more than 125 pounds. Greene, who uses the horses for therapy for her adopted, foster and biological children and for clients at Crosswind Farm Horse Riding Program in Cross Roads, said she would have to get rid of the three horses, who cannot be separated. © 2016 by The York Daily Record/Sunday News. 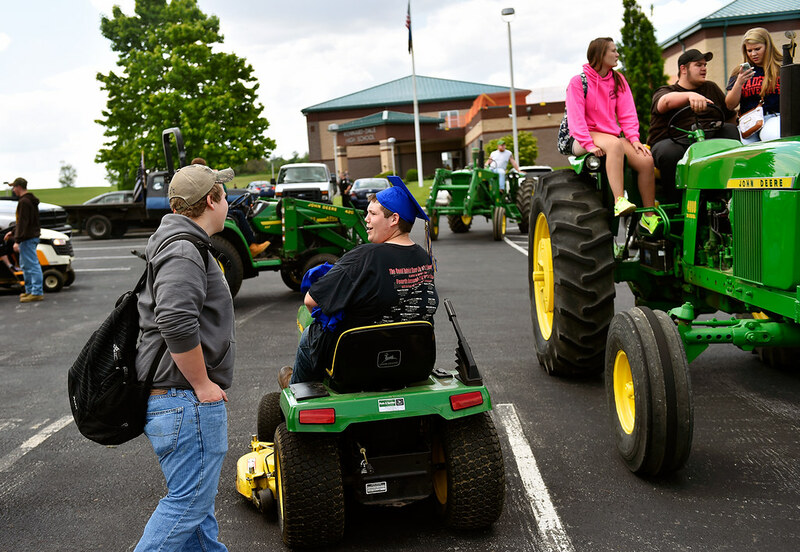 Kennard-Dale sophomore Gavin Hill, left, chats with senior Travis McFatridge, center, as other seniors prepare to leave on their tractors Thursday, May 19, 2016, outside the school in Fawn Grove. Seniors got to drive farm tractors to and from school. © 2016 by The York Daily Record/Sunday News. Seniors gather in the gym before Red Lion’s graduation Friday, June 3, 2016. 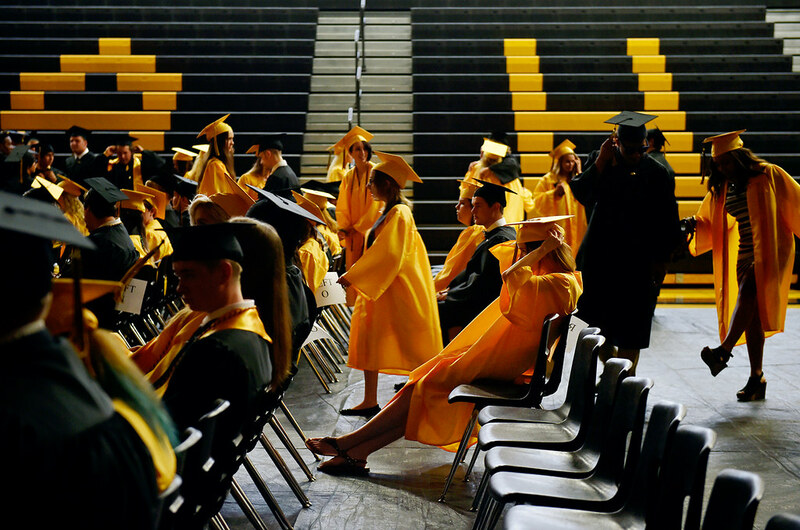 Red Lion graduated just over 300 seniors in its commencement ceremony. © 2016 by The York Daily Record/Sunday News. 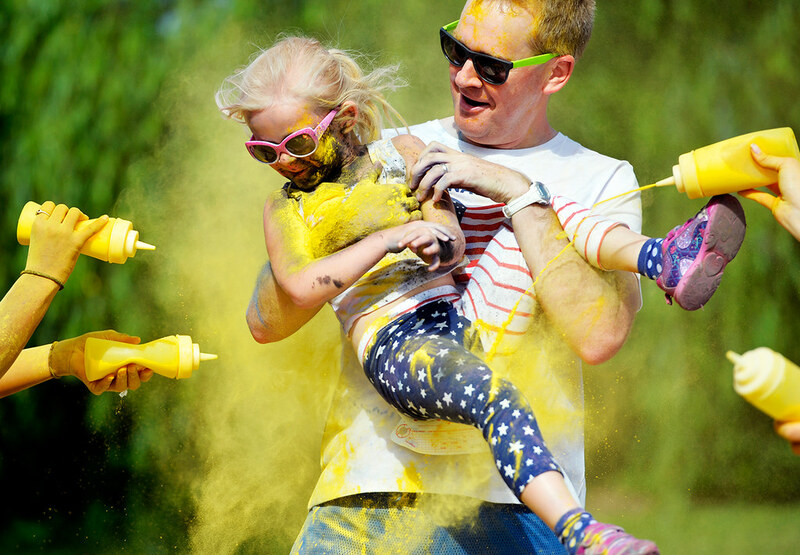 Aaron Dalton of Manchester Township carries his daughter Lily, 5, through the finish line at Heritage Hills’ second annual Color Me Free 5k Color Run Saturday, July 2, 2016, in York Township. About 100 participants ran or walked the race, which benefits Habitat for Humanity Veterans Build. © 2016 by The York Daily Record/Sunday News. 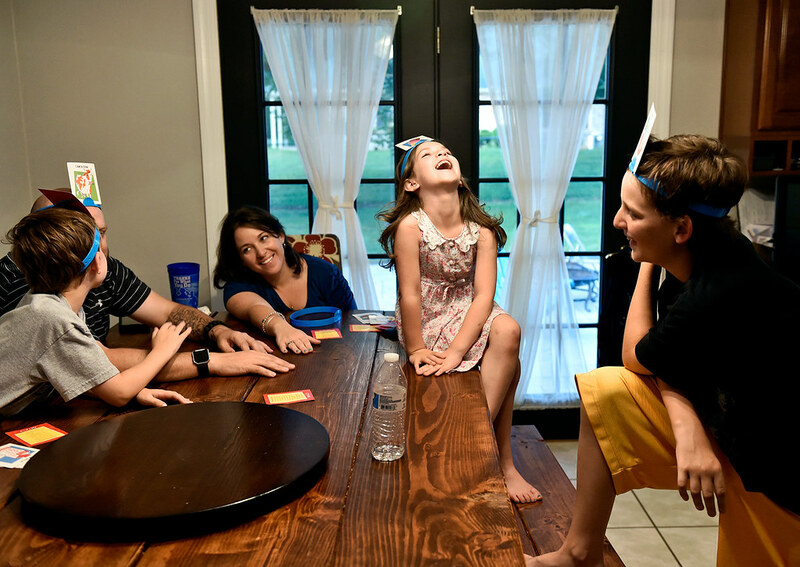 Callyn Lee, 6, center, laughs as brother Aidan, 11, tries to guess his “Hedbanz” card during the Lees’ “family fun night” Friday, July 29, 2016, in their York Township home. Heather and Robert Lee dedicate every Friday evening to family-friendly activities like a backyard bonfire or board games to get electronics-free face time with their three children. © 2016 by The York Daily Record/Sunday News. 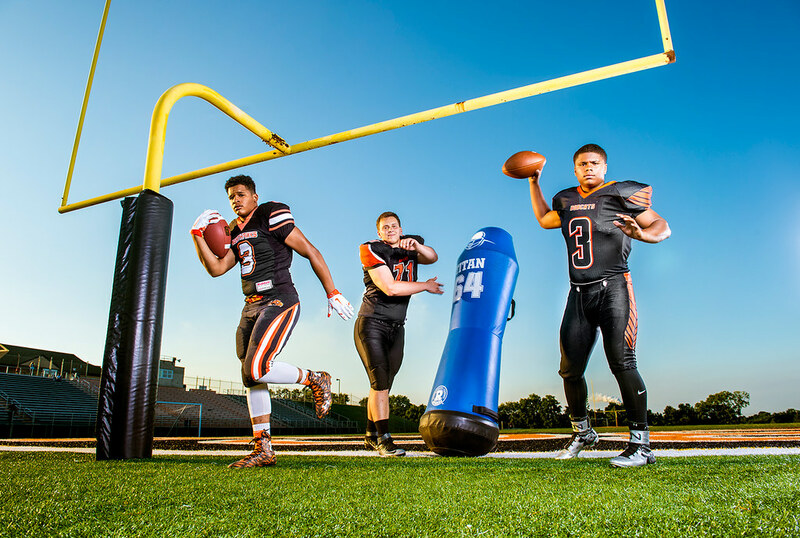 From left, Hanover running back ReSean Williams, York Suburban lineman Gavin Barclay and Northeastern quarterback Shannon Valenti stand for a portrait at Northeastern High School Wednesday, Aug. 3, 2016. © 2016 by The York Daily Record/Sunday News. 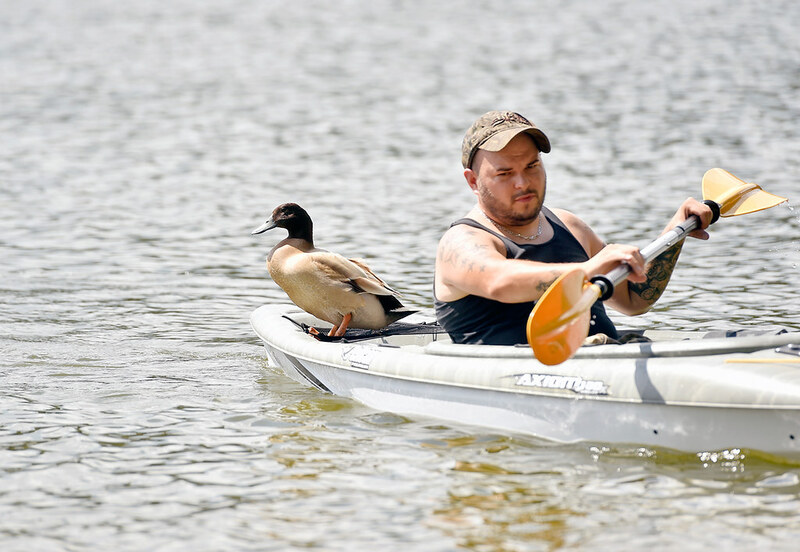 A duck hitches a ride on the back of a kayak paddled by David Leppo of York Township on Lake Williams near the boat launch in Springfield Township Saturday, Aug. 13, 2016. York County Parks ranger Kevin Clouser said the duck, whose species or gender is unknown, has been following and getting rides from kayakers on the lake for at least several weeks. © 2016 by The York Daily Record/Sunday News. Gov. 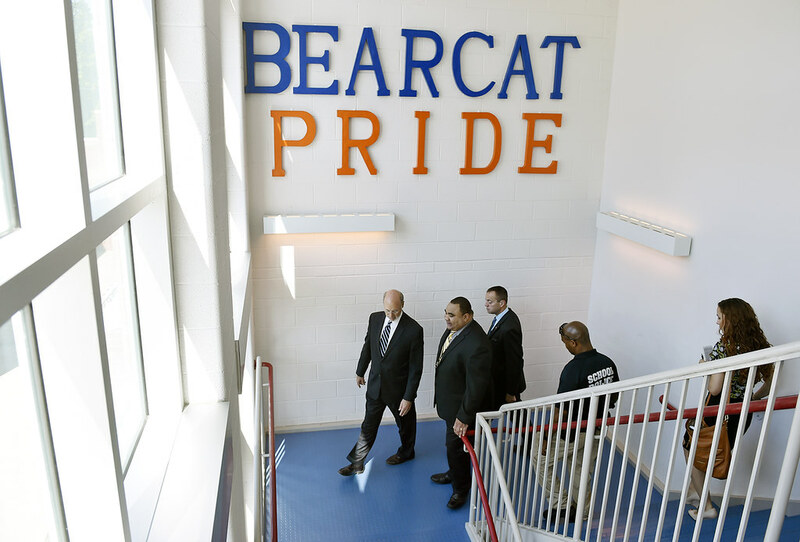 Tom Wolf, left, departs Ferguson K-8 accompanied by York City School District superintendent Eric Holmes and other officials Wednesday, Sept. 4, 2016, in York. The governor visited Ferguson K-8 to highlight the funding he’s put toward education. © 2016 by The York Daily Record/Sunday News. 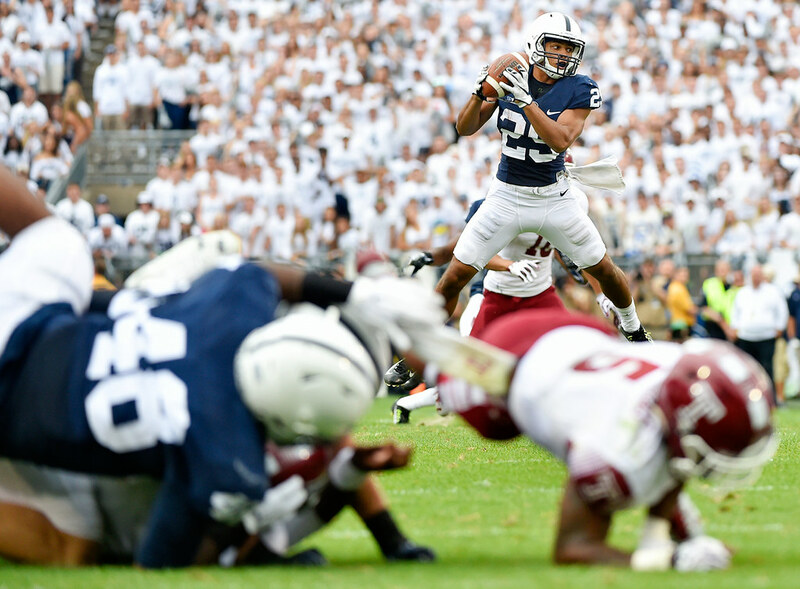 Penn State’s John Reid catches an interception in the second half of an NCAA Division I college football game Saturday, Sept. 17, 2016, at Penn State. Penn State defeated Temple 34-27, and celebrated the 50th anniversary of former head coach Joe Paterno’s first game by honoring members of the 1966 football team and showing video tributes on the scoreboard. © 2016 by The York Daily Record/Sunday News. 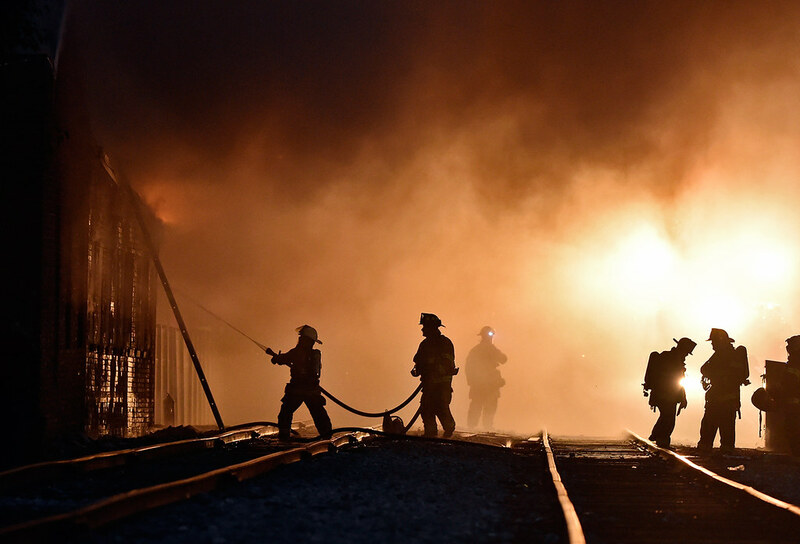 Firefighters work a fire at a gun range in West York Friday, Sept. 30, 2016. Emergency personnel responded to a working fire at West York Sporting Goods, a shooting range, in West York. © 2016 by The York Daily Record/Sunday News. 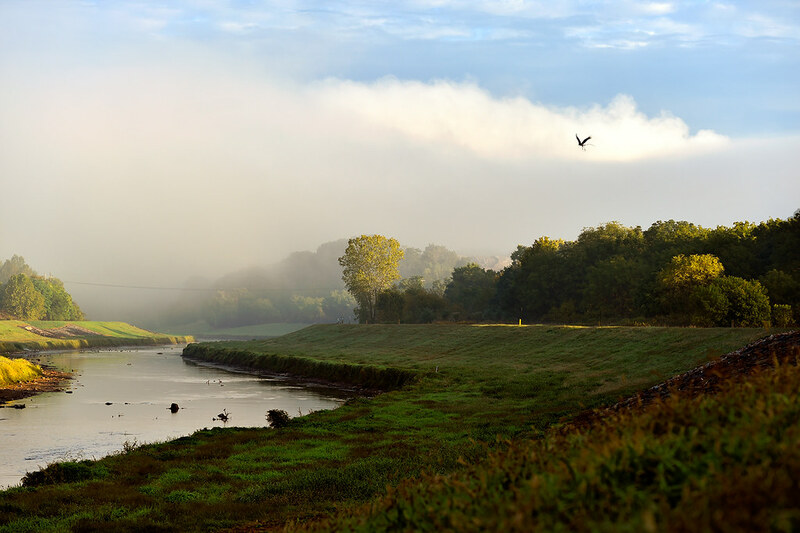 A bald eagle carries a branch over the Codorus Creek and the York County Heritage Rail Trail in Manchester Township north of U.S. 30 on Friday, Oct. 7, 2016. © 2016 by The York Daily Record/Sunday News. 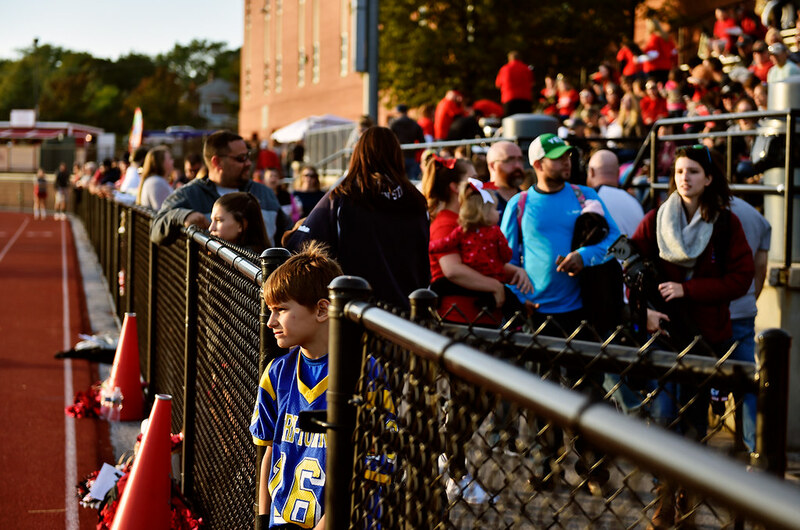 Ace Looks, 9 of Dover Township, watches Dover alumni football players prepare for an alumni football game Saturday, Oct. 15, 2016, at Dover. The teams of alumni football players featured graduate years ranging from 1977 to 2015. The game, organized by Alumni Football USA, was full-contact and benefited several local charities and organizations. © 2016 by The York Daily Record/Sunday News. Sitting on the comforter that’s been her bed for the past month, Morgan Washington-Henry says grace over a take-out container of food a friend bought for her in her York apartment Thursday, Oct. 20, 2016. She plans to get a bed and mattress in the next week. Washington-Henry, 19, and her four older siblings lived with their grandmother in Harford County, Maryland, until she died when Washington-Henry was 12. 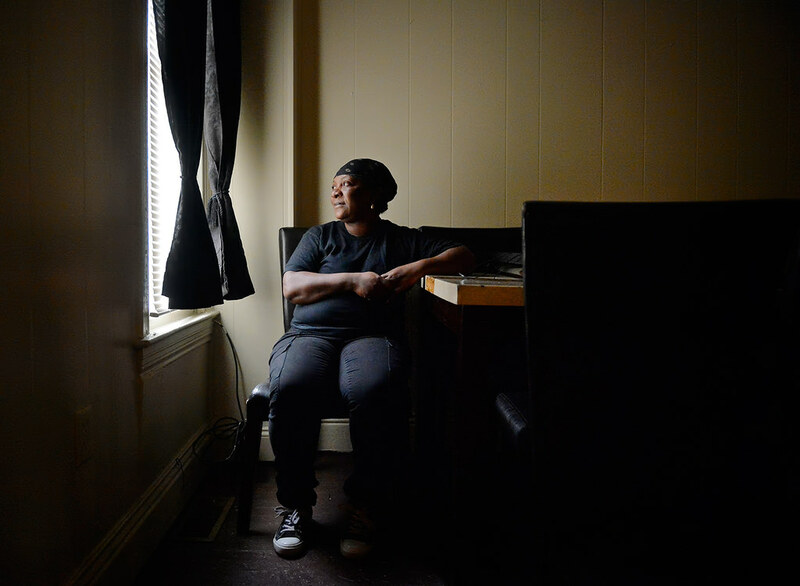 Washington-Henry spent the next five years living with a relative, in foster care and a group home until she aged out of the state’s system. After couch-surfing with friends and working at a York County summer camp, Washington-Henry was referred to Bell Family Shelter in York, where she stayed for 27 days before finally moving into an apartment of her own for the first time. © 2016 by The York Daily Record/Sunday News. Penn State cheerleaders greet the crowd for the team’s arrival before an NCAA Division I college football game Saturday, Oct. 22, 2016, at Beaver Stadium. Penn State is hosting Ohio State. © 2016 by The York Daily Record/Sunday News. Penn State head coach James Franklin, accompanied by daughters Addy and Shola, greets stadium employees before an NCAA Division I college football game Saturday, Nov. 5, 2016, at Beaver Stadium. Penn State hosts Iowa. © 2016 by The York Daily Record/Sunday News. 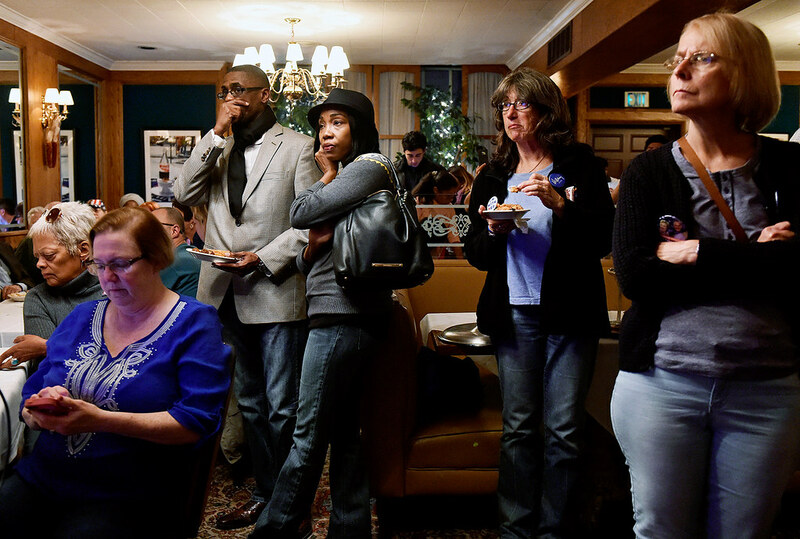 Standing, from left, Larry and Michelle Walthour of York, Ellen Hockman of Towson, Md., and Jess Hagden of Fairview Township watch election analysis Tuesday, Nov. 8, 2016, at the Democratic Party of York County’s election watch party at the Roosevelt Tavern in York, Pa.
© 2016 by The York Daily Record/Sunday News. 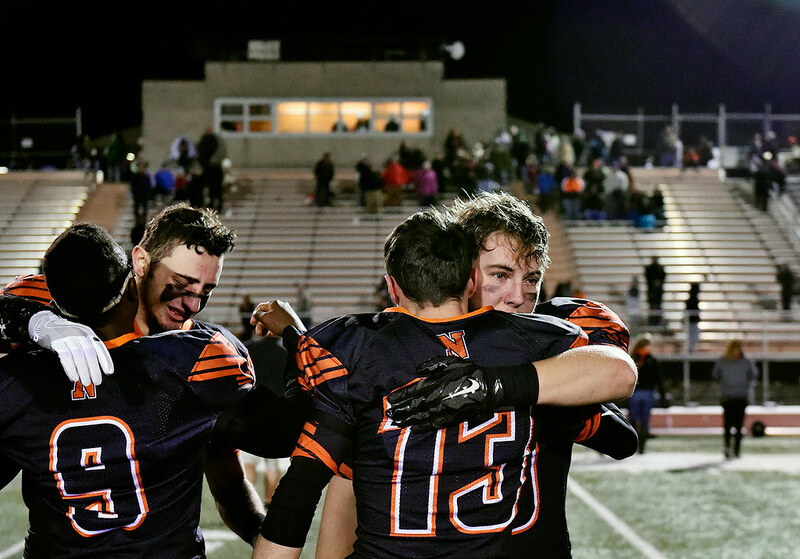 Northeastern football players embrace each other after losing a PIAA District 3 Class 5A first-round football game Friday, Nov. 11, 2016, at Northeastern. Cocalico defeated Northeastern 25-24 to advance to the next round. © 2016 by The York Daily Record/Sunday News. 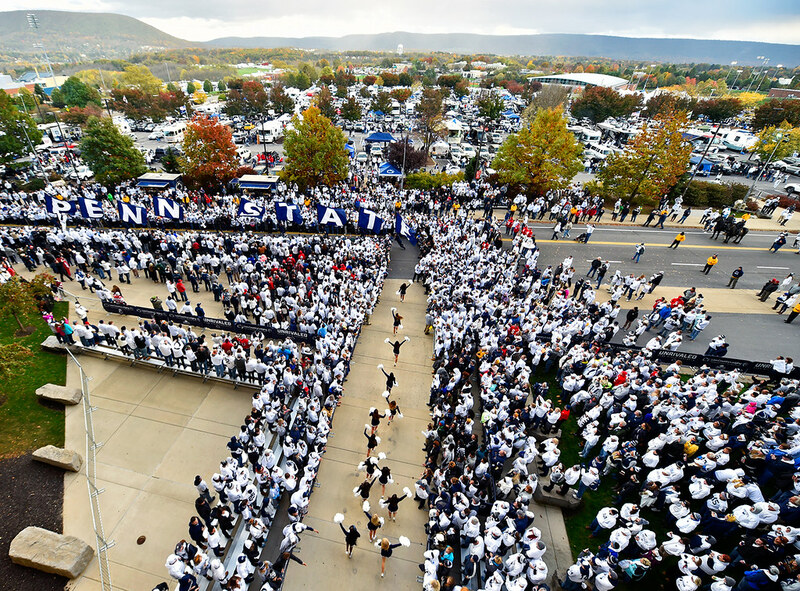 The Penn State football team enters Beaver Stadium before an NCAA Division I college football game Saturday, Oct. 22, 2016. 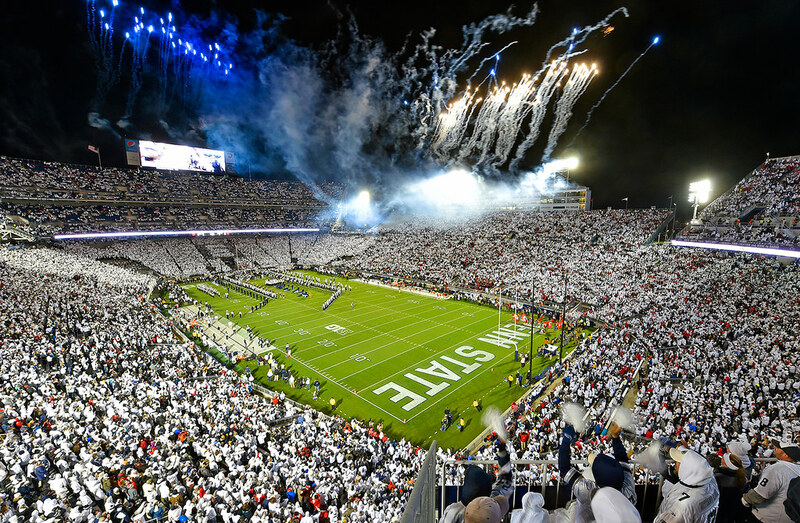 Penn State is hosting Ohio State.